Miss Universe 2015 Pia Alonzo Wurtzbach wowed Thai locals, pinoy fans and expats at the 1st Thai Silk International Fashion Week in Bangkok. Hundreds of Filipino fans jam packed the Central World’s Eden Zone on Sunday, December 2. Loud cheers could be heard while Pia was walking on the ramp. Philippine Ambassador Mary Jo Bernardo Aragon and Embassy officials also attended the event. Other Ambassadors were also spotted in the event. 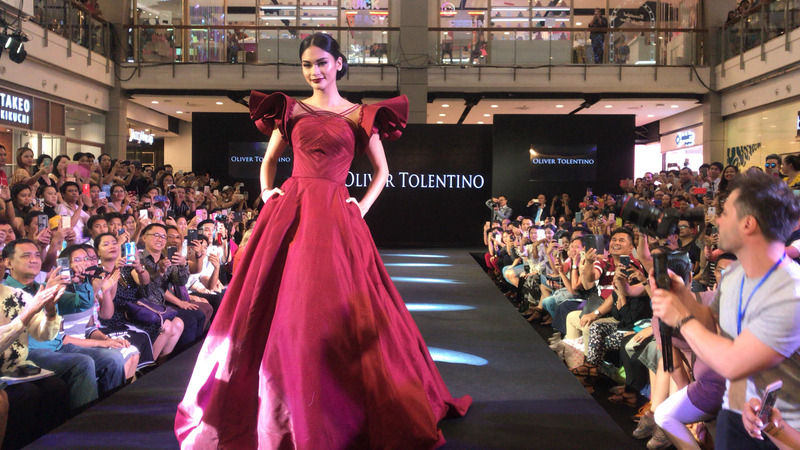 Pia wore Oliver Tolentino creations. Tolentino’s work were also presented by the Ambassador at the grand opening of 8th Thai Silk Celebration which was attended by Prime Minister Prayuth Chan-o-cha, some members of royal family, officials, ambassadors, and special honoree Jimmy Choo.